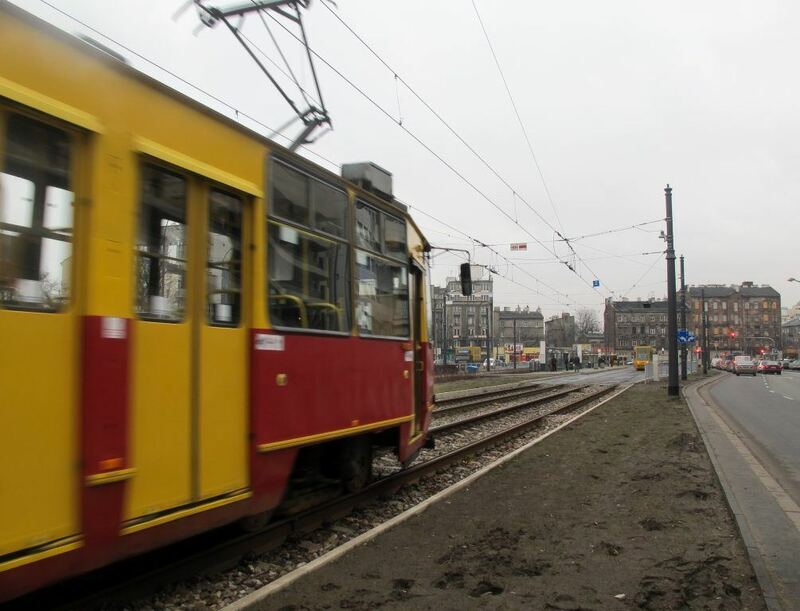 There were not enough words that could describe my time in Praga, an area of Warsaw located across the Vistula River from most of the tourist attractions in the Polish capital. Dingy, artsy, squalid, but real. 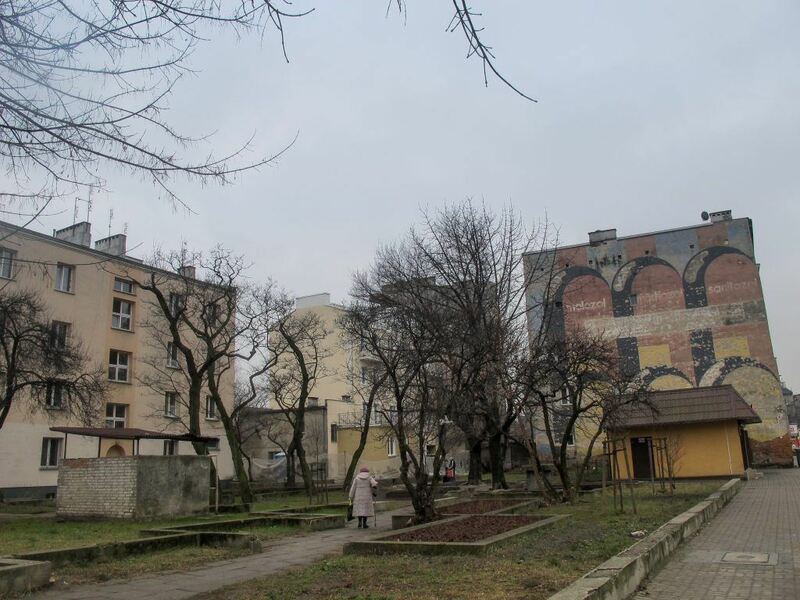 Warsaw is an intriguing city, both historically and presently, but it is absolutely a city that one needs to explore beyond Stare Miasto (Old Town) to find such character. Praga is where I first really discovered Warsaw, and kind of fell in love with it. 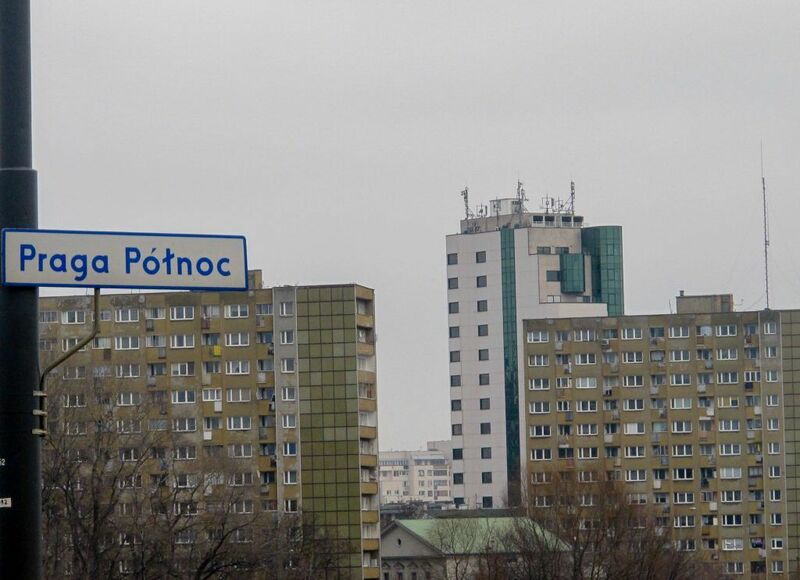 There is no denying that Praga is a rougher area of Warsaw. 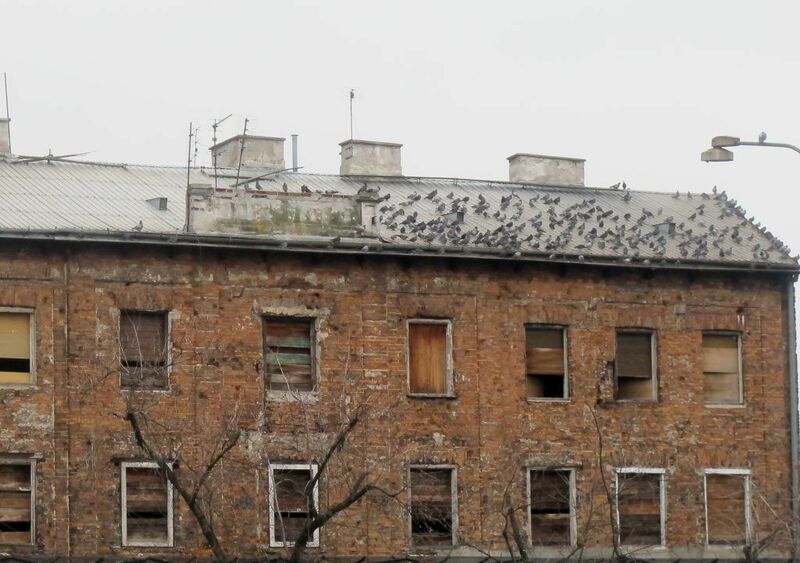 Previously an independent city from Warsaw, it remained relatively untouched during WWII, while the rest of Warsaw and many of it’s inhabitants perished. Ten years ago Praga was considered quite dangerous; today it is the home to many hipsters and artists who have established their homes in old warehouses and factories within this gritty neighborhood. The movie, The Pianist (Director: Roman Polanski), also had parts of the film shot here, with no special props. I explored as much of Praga (north and south…even though most all photos I have are from north) as I could…but the fact that I was fighting daylight gave me only a few hours in the neighborhood. I then searched for a bar to get a quick beer and came upon Bar Kijowska, a bar that was very central and easy to find. The bar was one of the smallest I had ever seen, but definitely had a feeling of Poland. I was able to sit by a window and look at the locals who walked past the place… as well as the locals who popped in the bar. During my beer, I witnessed three different older guys popping in the bar (clearly after getting off of a day of a heavy labor job), taking a shot of vodka at the bar counter top, and leaving. It was quite surreal and really made me wonder how much these older men had gone through in just their lifespan alone. What I found to be so great about Praga is that I encountered no tourists the entire time we were there. Praga might not be the part of town for everyone who visits Warsaw, but it was definitely the place I visited in Warsaw that I felt the most attached to… and it was really where Warsaw won me over. 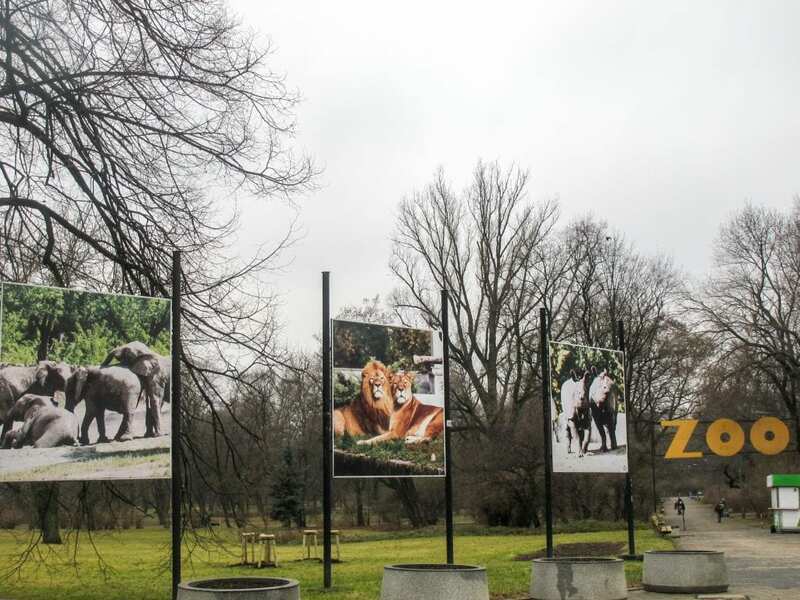 (above) Warsaw Zoo. 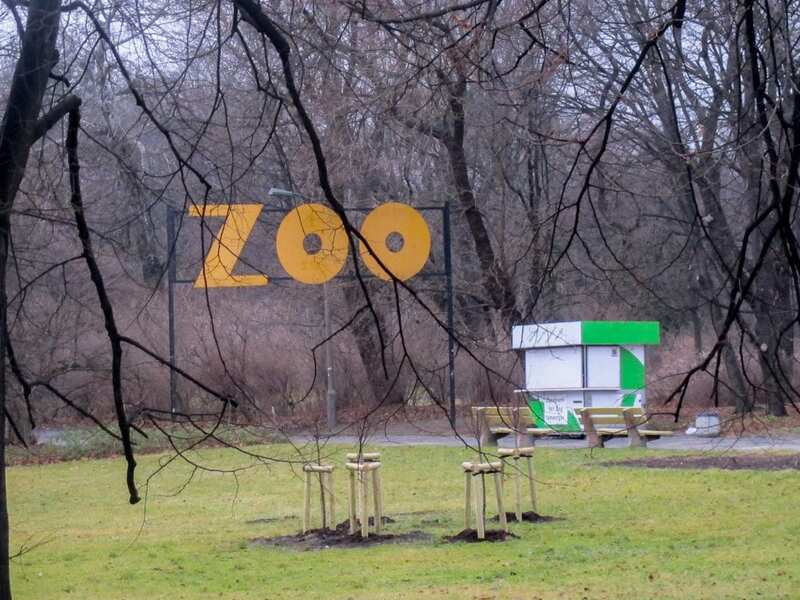 I don’t believe in zoos and certainly won’t visit one, but I found the story behind this one to be rather interesting as it was opened in 1928 and later bombed in 1939 (most animals died). Throughout WWII, zoo director Jan Żabiński and his family hid 200 Jews here and saved them from the Holocaust. It is now home to over 4,000+ animals belonging to 500+ species. (above) St. Michael and Florian Cathedral. 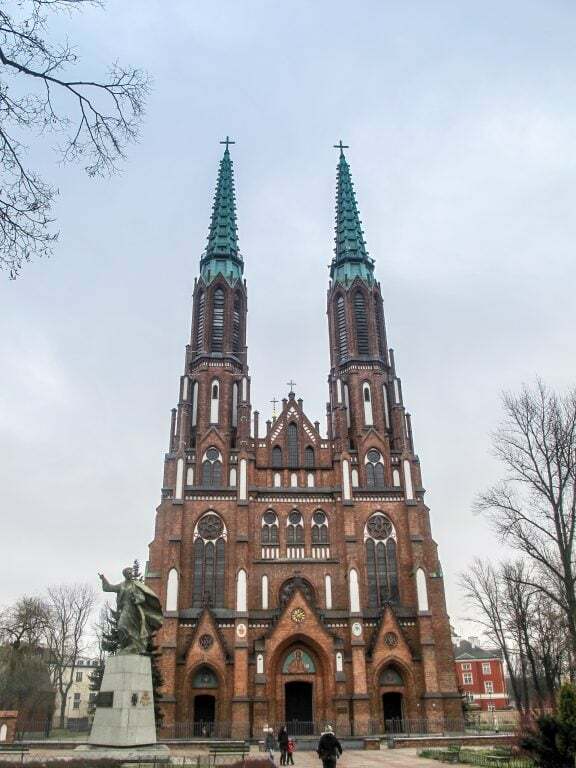 Construction of this church began in part to the “Russification” of Warsaw and later competed with the newly built Orthodox Church of Mary Magdalene. During WWII, this church was completely destroyed except for the 2 statues…that of St. Michael the Archangel and St. Florian. The Cathedral was rebuilt and construction was finished in 1970. 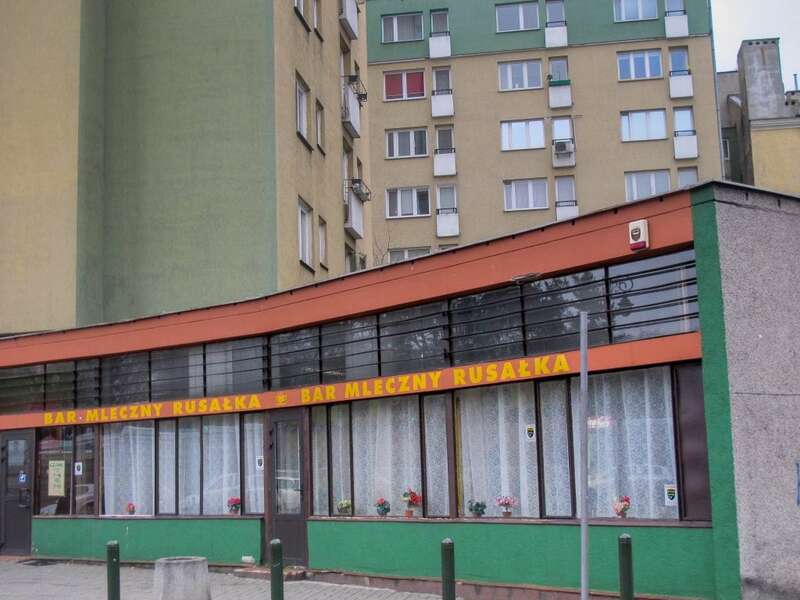 (above) One of the few milk bars left in Poland. 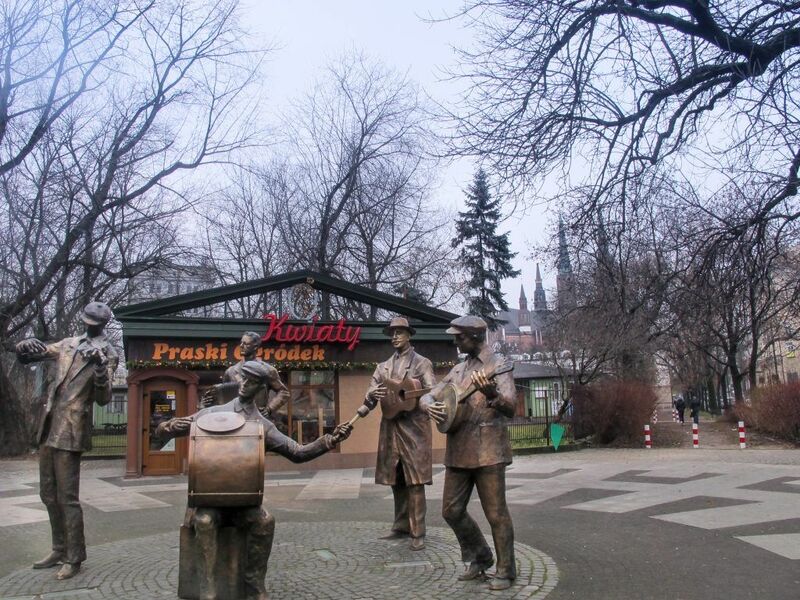 To read more about Praga and its history, click here. I thoroughly enjoy reading about your adventures and hearing your unguarded thoughts on places, its refreshing! Another place to add to the travel list!!! I can’t remember if you’ve ever mentioned going to Budapest? Thats a place I really do want to see also because of the history! Your adventures amaze me. I think I’ve fallen in love with so many more cities than I would have imagined reading through your blog and this city does not fall short. This looks like a beautiful place. Thanks so much Maria! So many blogs inspire me as well…just wish i had the money to travel permanently!!! 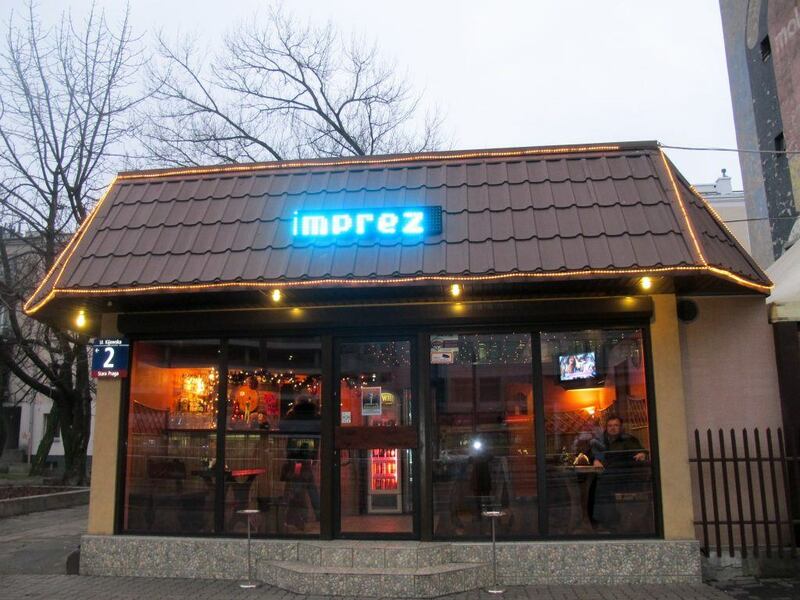 Praga seems so so authentic – I love it! Sometimes it’s nice to get away from where all the tourists are. And that bar.. adorable! wow, wow, wow! I want to go. Such interesting facts and stories there. I would seriously love to explore WWII through the “eyes” of Poland. It just fascinates me more than I can explain. The weather looks so dreary but not in a bad way. You’re very lucky to get to go there! :) Glad you enjoyed. And looking forward to hearing about the milk bar. I totally know what you mean about the greyness. 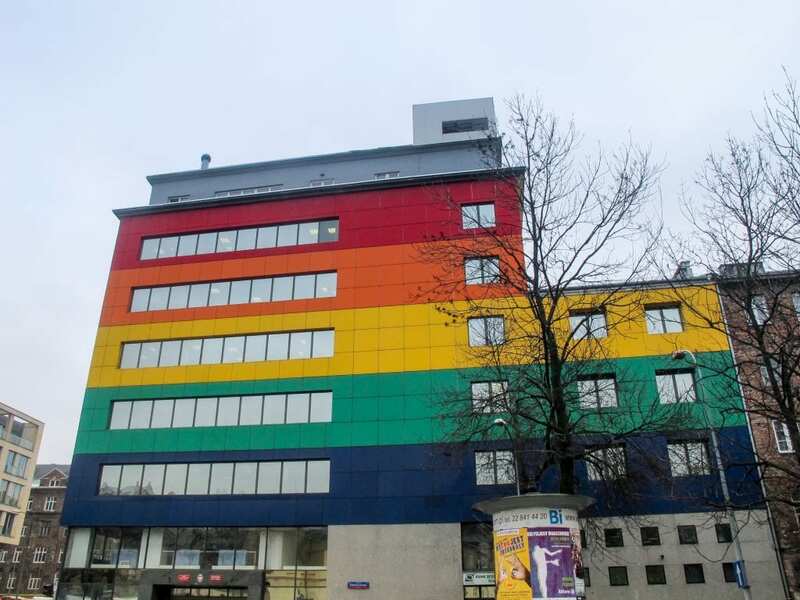 It is almost expected when you go to Poland…and I shockingly love it. Here in Norway it’s a whole ‘nother story!